Thanks to United’s generous booking policies, you can use one stopover and two open jaws per round-trip award ticket. 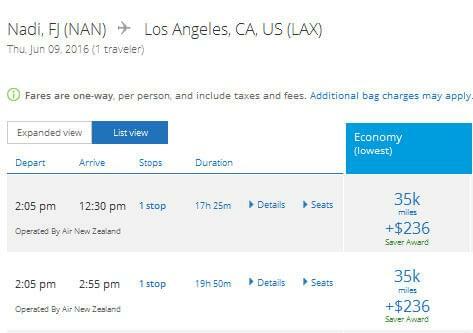 In this post, we’ll explore how to use a stopover to not only see more places, but also save miles when traveling to Oceania. A stopover is when you stop en route to your destination for more than 24 hours on an international flight, or for more than four hours on a domestic flight. Most travelers avoid making unnecessary stops on the way to their final destination. But if you have a little extra time, you can see a lot more without spending extra miles by using United’s free stopovers. In the case of Australia, you can actually save miles. In order to save miles, you’ll book a flight to Fiji, and use the free stopover to get to Australia. 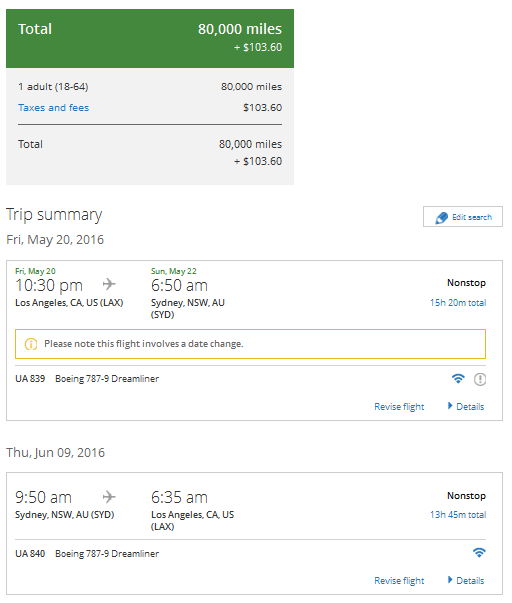 Round-trip award flights on United to Australia are 80,000 miles, but to Fiji it’s only 70,000 miles. 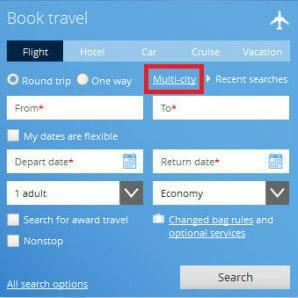 On the next page, be sure to select “yes” for booking a MileagePlus award ticket. Then enter your flight information. When you’re done, click “search” at the bottom of the screen. 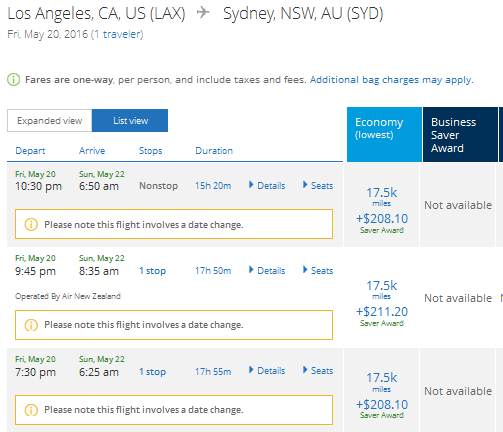 Choose your first flight, between your departure city in the U.S. and Sydney. In our example, we’re using Los Angeles. 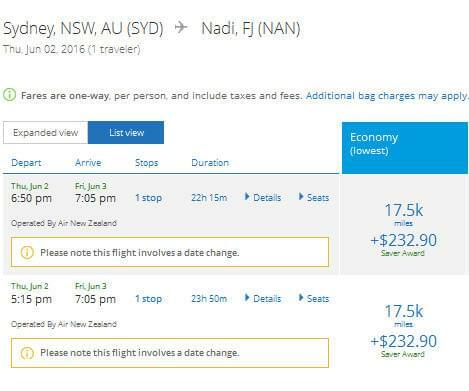 Unfortunately, there are no award flights for the second flight, from Sydney to Fiji available on June 1. 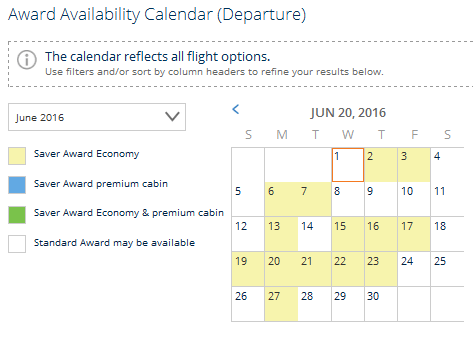 Clicking on June 2 brings up the options below. Choose your flight. 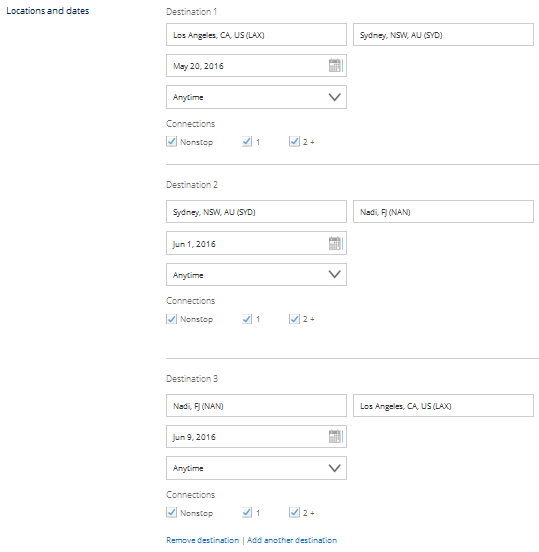 Now choose your final flight, between Fiji and Los Angeles. The next page will show you the final itinerary and cost. 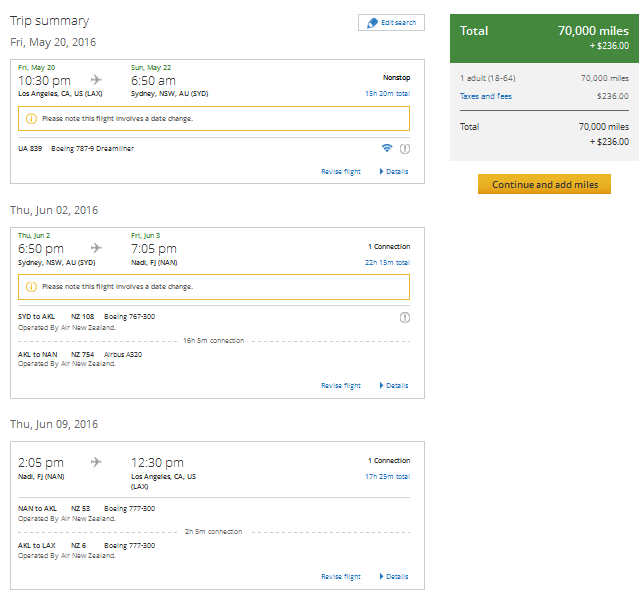 This flight costs 70,000 miles and $236 in taxes and fees. 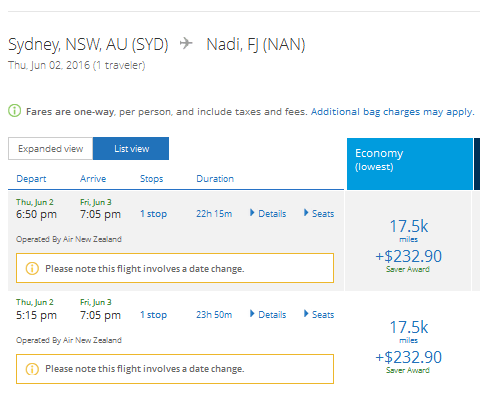 The cash portion of this ticket is mostly due to sizable surcharges added by both Fiji and Australia. If you take Fiji out of your trip, you’ll save about $100, but you’ll spend an extra 10,000 miles. Not to mention that you won’t see Fiji. 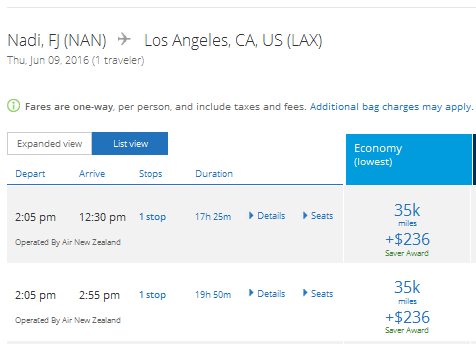 It goes without saying that the cost of flying to Fiji on a separate trip will be a lot more than $133. So if you have the time, taking advantage of United’s free stopover while flying to Australia or other locations in Oceania is a great bargain.